Easy to use, and easy to recharge, this starter kit has everything needed to ease oneself into the world of e smokers. It can be filled with any choice of flavour you wish, and they are simple to refill. Simply remove the stopper at the end of the tip, and refill as required. It comes with e liquid and a plug and a USB charger so you can charge the batteries at the wall, or using the computer. What all these designs will have in common is the atomizer. This works to vaporise e-liquid, which is inserted into the device in the form of a cartridge. The atomizer is powered by a battery, heating up the liquid and turning it into vapour or mist. The liquid used is often propylene glycol, but it is also possible to buy liquids which use vegetable glycerine, or polyethylene glycol. In addition to the juice, these liquids may also have fruit or other flavours added in order to create a pleasant taste in the mouth. The majority of e-ciggies currently on the market are automatic, which means that they are powered by the battery as the user inhales, rather than being powered by a motor which is turned on through the user. In other variations, there are small buttons which turn the battery on and off, this being considered safer. They can also be bought in disposable or re-usable varieties, with users being able to dispose of the former once the nicotine liquid has run out, and the latter, the majority, being refillable, or having replaceable cartridges. Smokers across the globe have found e-cigs to be a helpful alternative to tobacco, and there are also several reasons why those who choose to use tobacco in most circumstances could still benefit from e-cigarettes. As more public spaces restrict the use of tobacco, electronic devices are often an acceptable alternative, and provide a nicotine supplement to the user. Smokers may also find it is popular in family gatherings and at social events where smokers and non-smokers are in the same area. Title : High quality at a bargain price! Comment : This starter kit is a present from my daughter. Love this ecigarette kit. Comment : wow! Great it with beautiful design. really happy to have it and recommend to my other friends. Comment : I quit smoking regular cigarettes using this starter kit! Comment : I would recommend this product :) I've had it over 4 months and I am very pleased with it. Large vapour and low price. Comment : This is the first kit from you guys and I love it! Comment : The starter kit was my first kit. I love it! Comment : Looks so real! Great to have in my purse. 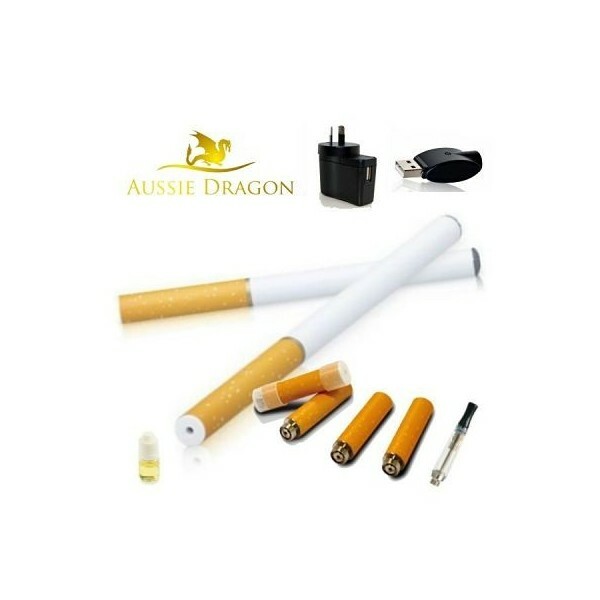 Rating(s) and review(s) : Aussie Dragon Starter Kit - Reviewed by : Bianca O - Rating 5 / 5 - This starter kit is a present from my daughter. Love this ecigarette kit.